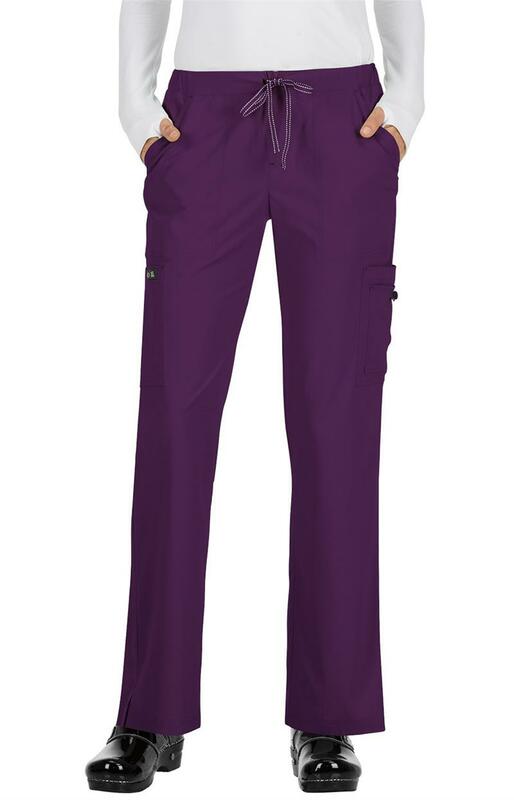 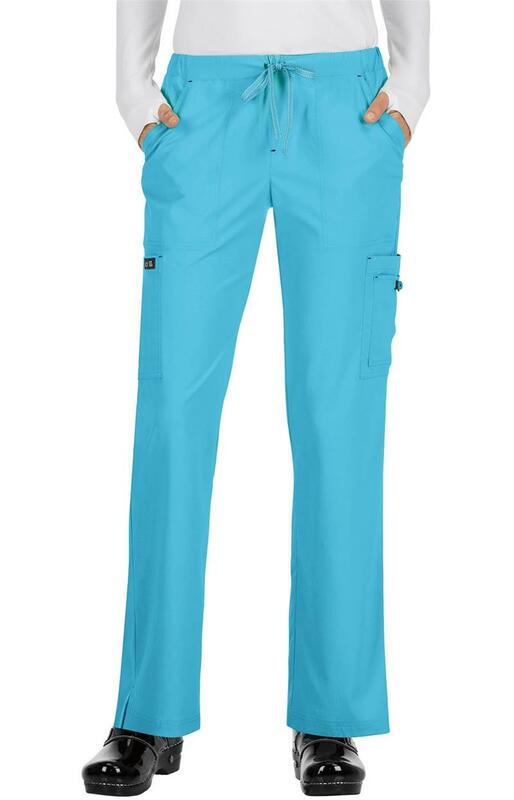 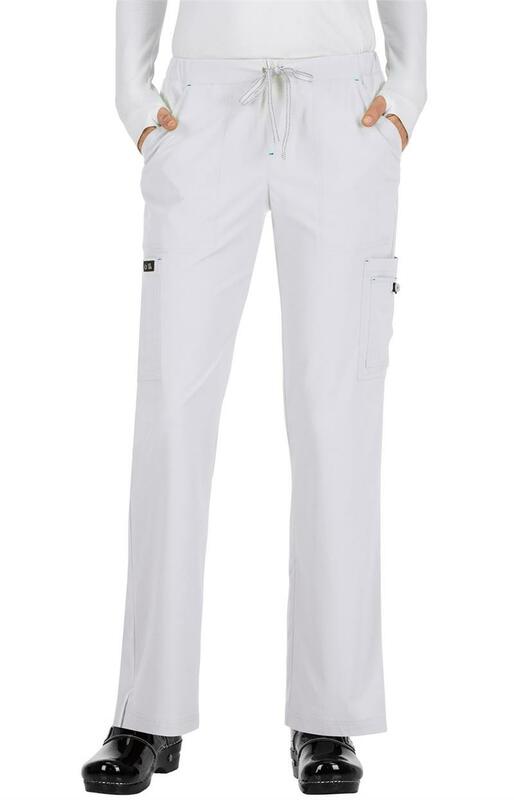 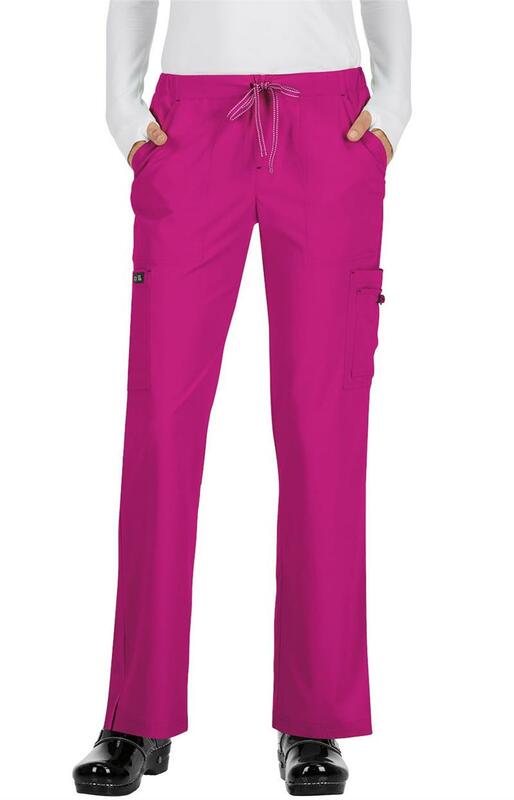 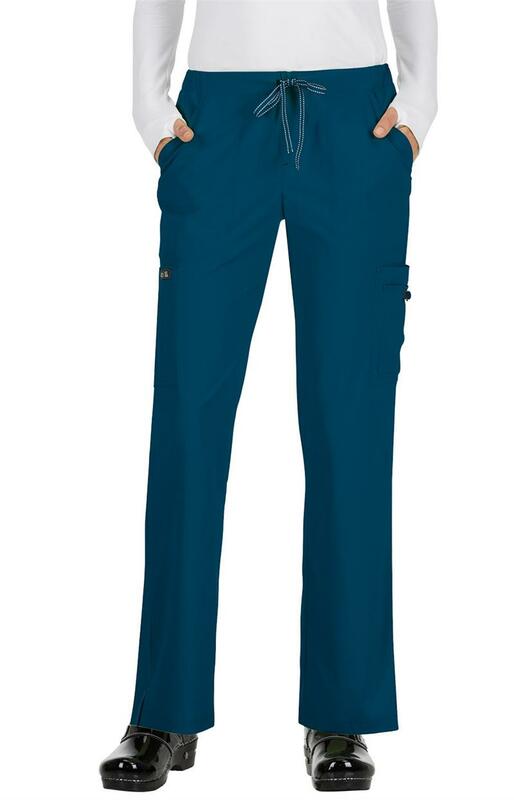 This Koi Basics modern classic fit cargo, mid-rise, straight leg features elastic waistband with drawstring tie, contrast print facing, lightweight, moisture-wicking fabric, 2 front pockets, 2 back pockets, 4 side pockets, including hidden cell phone pocket. 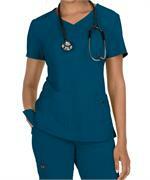 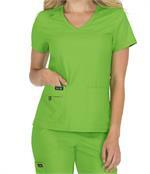 Double patch pocket with printed button detail, double-needle stitching at seams, side slits, straight leg. 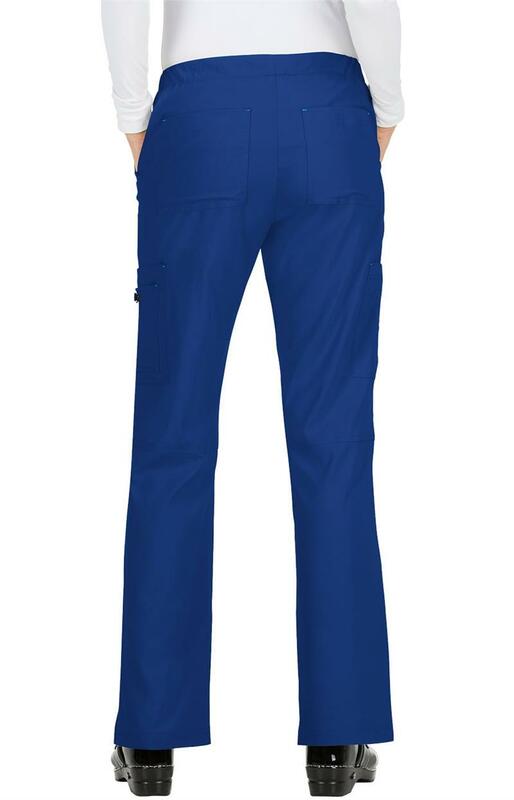 Regular inseam is 31". Petite inseam is 29". 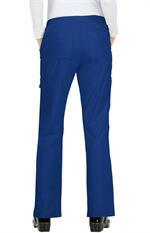 Tall inseam is 33".